When I was a child I loved the Narnia books. I’d shut myself up in closets, hoping to find a portal to that magical land, and devoured the stories over and over. Almost half a century later, now a weaver and a spinner, I’m doing my best to weave Narnian-grade fabrics. But what are those, some people might ask? Illustration from C.S. Lewis’ “The Last Battle,” by Pauline Baynes. The books repeatedly make the case that ordinary clothes of this world are ugly and don’t feel good against the skin. (Of course, in post-war England during the years in which these books were written, that was probably the truth.) C.S. Lewis exercised his imagination in envisioning a place in which clothing is not a burden, with tight collars and neckties and braces and constricting undergarments. 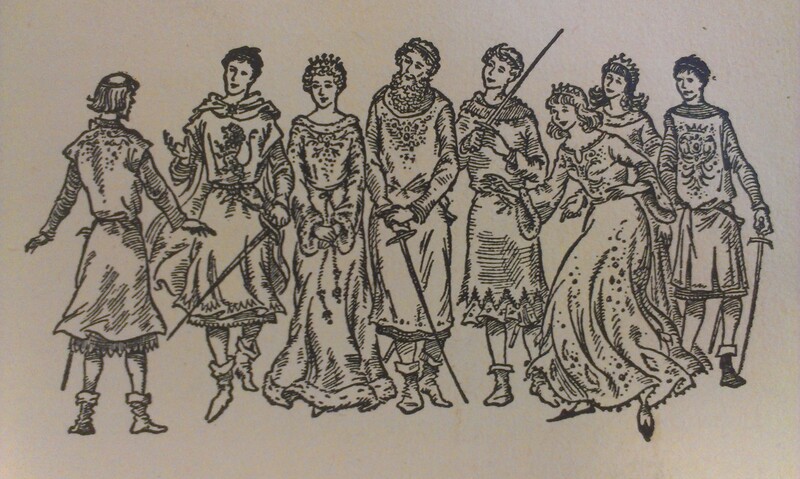 And now that I am no longer a child but a weaver, I can ask myself the question: how would I go about making a Narnian-style fabric, suitable of being used for clothing? 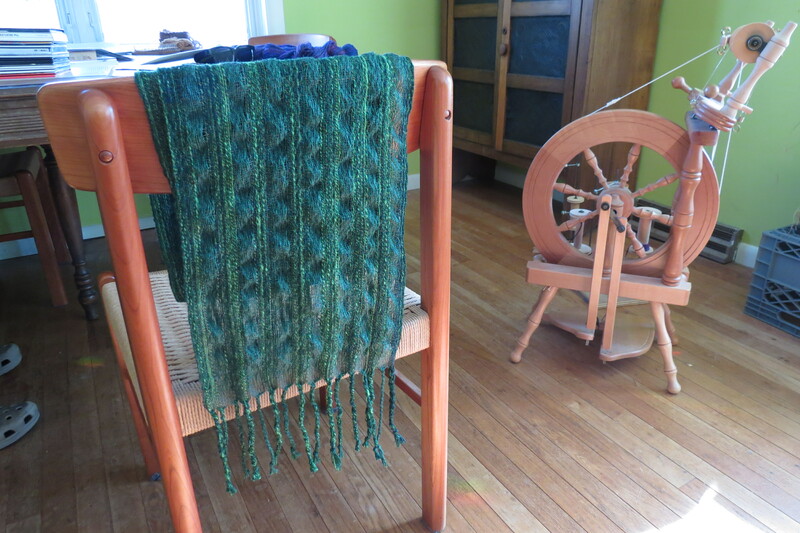 24 ends per inch is too loose for a garment, but would work well for a shawl. Such a fabric would have to exhibit lovely ground patterns and feel wonderful. With that in mind, I’ve made two samplers so far that accomplish both of those goals. 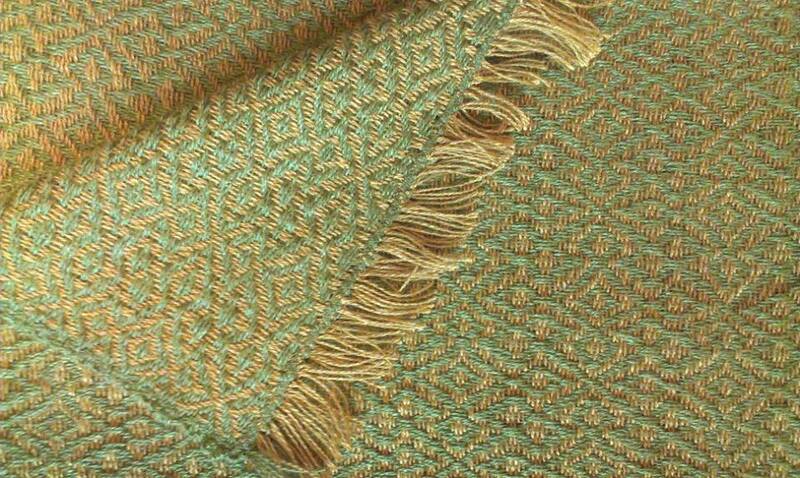 One is a supple length of bamboo thread in a six-harness pattern, with wonderful drape and a pattern that shimmers before the eyes, worked in gold and light green [above]. The other is an eight-shaft blouse-weight silk of blue and reddish-violet threads, 48 ends per inch, the finest I have yet attempted. Blue and violet silk create a pattern that shimmers. I hope I enjoy the chance to weave more yardage suitable of creating garments that are beautiful to look at and lovely to touch. I can almost feel those comfortable clothes enveloping me! Yes, they feel absolutely lovely! 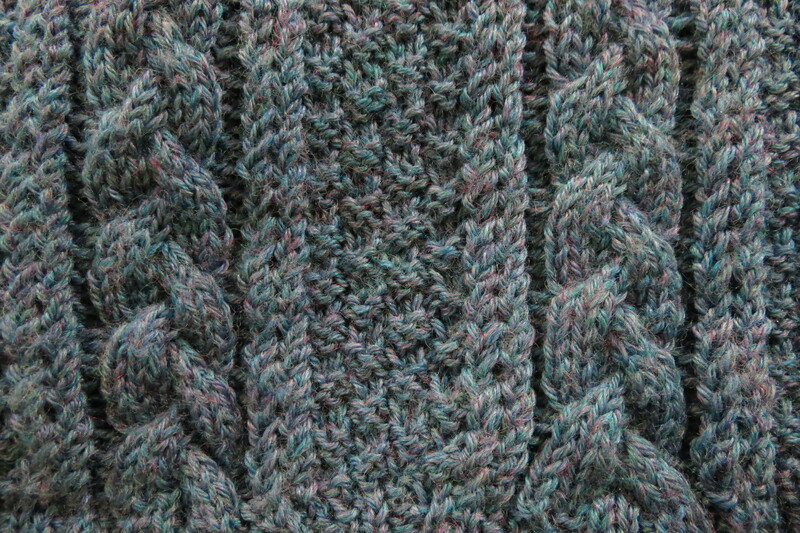 But these are merely the first two experiments….there are many more Narnian textiles still waiting to be woven! The glint of your fine, silken yarns so skillfully woven delights, like the exotic form of nature it is! Will it be “a simple progression” in the next step, to move from your samplers to greater width or do I hear a lament about the time required to prepare the loom? If it is the latter, I inquire (allergies aside) could a soft, fine merino wool (alas without the sheen) set at fewer epi, full/finish with an joyous Narnian hand and allow greater “warp speed”? Maybe so, but I think you have chosen your fibers, proofed the draft, and the work awaits. I cheer you onward! We’re all on a a multifaceted journey. Learning is our high…go for it! 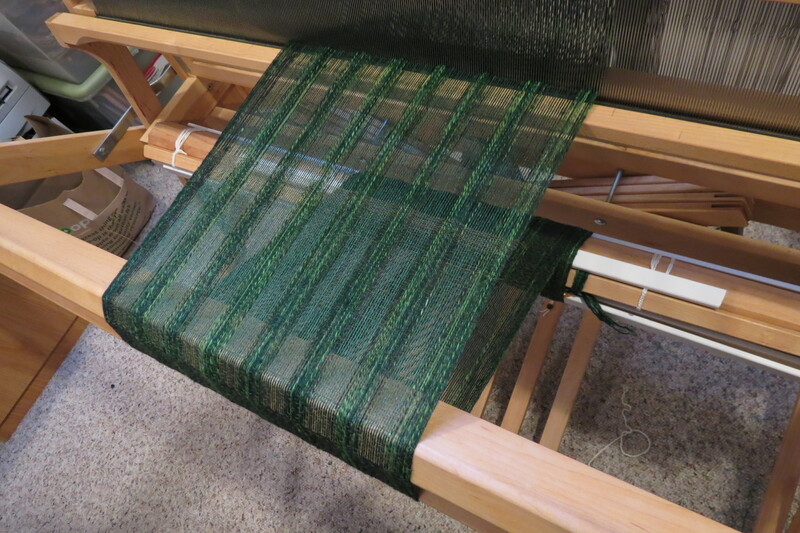 I have learned that these fabrics take forever to warp….I will have to invent a way of doing the warps in sections, celebrating each little bit of the whole, and not chafing with impatience at the vast distance still to go. At least I know that it is do-able! and that gives me resolution. Thanks for reading, and for commenting, Brenda! Looking forward to the next Rebel Weavers meeting. Just got my first floor loom, I think I’ll limp along on your adventure. For now, a couple of Saori inspired cottolin fabrics await for practice. 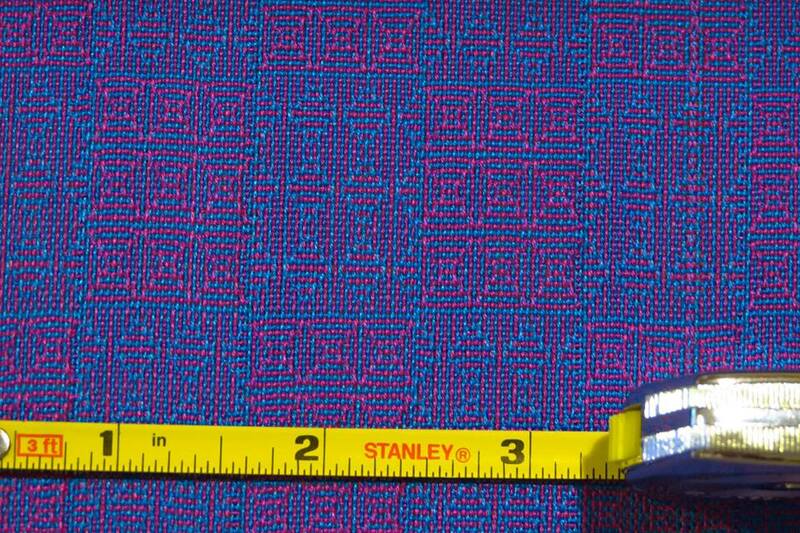 Saori yardage has amazing potential for garments! I’m “limping along” at this end, believe me, but it’s great to know there are others on the same path. Weave on, and thanks for reading and commenting!